Rhode Island State Police say a statewide gambling organization that was busted earlier this week included a marijuana distribution operation. 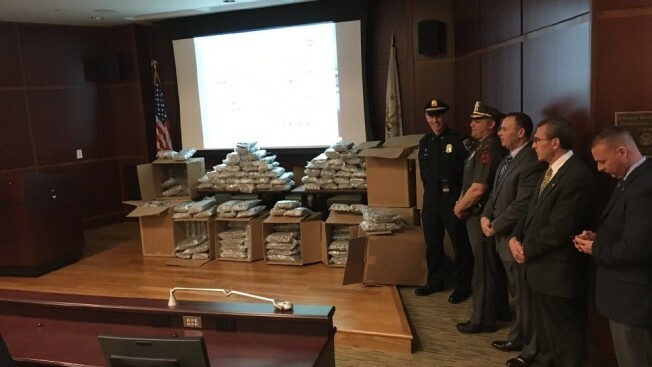 The sweep netted 20 arrests and the seizure of 330 pounds of pot and $311,596 in cash, according to necn affiliate WJAR. In addition to the drugs and cash, among the items seized were gambling ledgers, two scales, two money counting machines, six digital storage devices, 10 computers, 11 cellphones, two pickup trucks and a minivan. The eight-month investigation led police to the discovery of two illegal bookmaking operations and a marijuana trafficking operation. Nineteen men and one woman face charges.